Unlike most of the monitor manufacturers, we haven’t heard much from BenQ this year, so far. However, BenQ did announce two new monitors for this year, although none of them are intended for gaming. The BenQ PD2710QC PC monitor is aimed at professional designers, besides being the BenQ’s very first monitor to feature the USB type C port. Offering extensive connectivity, ergonomics, and an overall enriched convenience, the BenQ PD2710QC makes life easy for the professional designers, animators, and video editors of all sorts. In addition, it offers the adequate color accuracy thanks to its IPS panel and exclusive features. 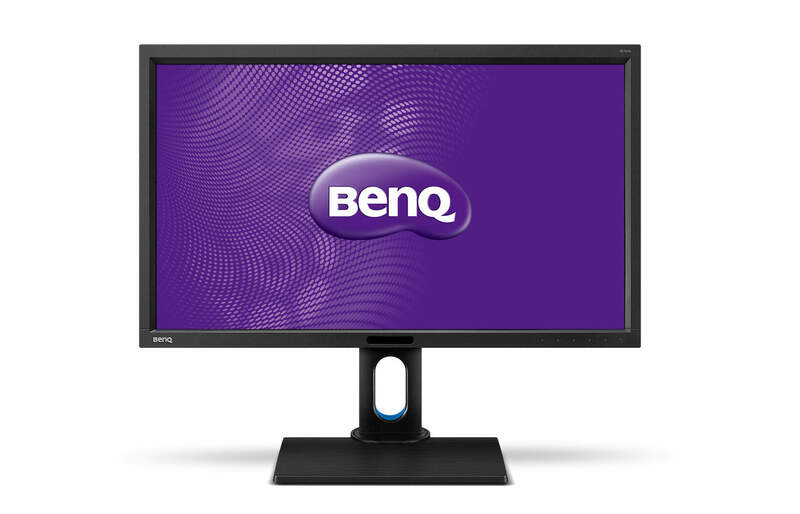 The other recently announced BenQ monitor is the BenQ EW2770QZ which focuses on the eye care technology. Its innovative Brightness Intelligence Plus technology reduces eyestrain in any environment while the colors maintain their perfection and originality. The 8-bit IPS panel ensures the flawless 178-degree viewing angles for the perfect image quality no matter the angle or distance you’re looking at the screen. In addition, it offers accurate and consistent colors required by the professionals. The Technicolor certified panel covers 100% of the sRGB and Rec.709 color spaces which make the BenQ PD2710QC display adequate for a wide range of professional designing. In fact, the monitor has pre-calibrated picture modes with optimal settings for different type of work including Animation, CAD/CAM, and Darkroom. The Animation mode offers 10 levels of enhanced brightness of the dark areas while the Darkroom mode increases clarity and adds sharpness to details. The CAD/CAM mode offers a superior contrast to the lines and shapes of the technical illustrations in order to suit plenty software applications such as Pro/E, Solidworks, AutoCAD, etc. Furthermore, there are picture presets with the blue light filter which eliminates the harmful blue lights and allows for a pleasant viewing experience while web surfing, reading, or working late at night. The BenQ PD2710QC screen is also flicker-free. Lastly, the Display Pilot software offers plenty of split-screen layouts which further simplifies the multi-tasking activities as you can effortlessly assign application windows to the outlined part of the screen. The BenQ PD2710QC may not have adaptive-sync nor high refresh rate as a modern gaming monitor since it’s primarily intended for professionals, but it will feature an option for a quick response time. While the designers may not suffer from the 14ms response time speed, casual gamers would notice a perceptible ghosting of the fast moving objects. Therefore, you can still have a solid gameplay experience on this BenQ USB-C monitor once you enable the 5ms gray to gray response time mode. Not only is the speed faster in this mode, but pixels change from one shade of gray into another, instead of from black to white and to black again. 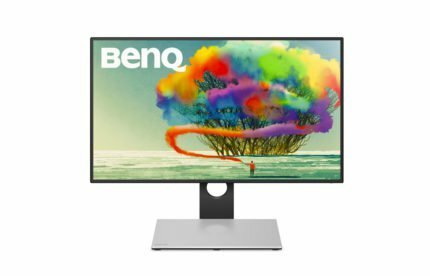 The BenQ PD2710QC USB C monitor will feature an edge-to-edge image with only a 7mm thick bezel around the screen which will be coated with an anti-glare matte finish. The base of the monitor features the external built-in USB-C Docking Station which is garnished with a “space-gray” metal finish. The overall alluring and thin design of the monitor is complemented by the extensive ergonomic functionalities that it’ll offer including up to 180mm of height adjustment, -5, 20 degrees tilt, swivel, and pivot abilities. The 180mm height adjust is purposely intended, so that you may fit a 15-inch notebook under the screen. Not only will you be able to fit your up to 15-inch notebook under the monitor, you will also be able to seamlessly connect it and simultaneously stream audio/video content, transfer files, and charge it (up to 61W) thanks to the revolutionary USB-C port. 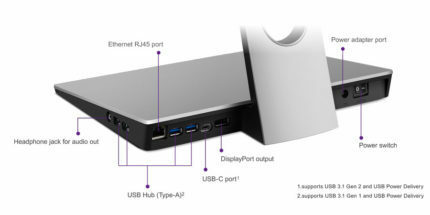 Moreover, you’ll have plenty of connectivity options including the MST daisy-chaining DisplayPort-Out and miniDisplayPort, four USB 3.0 ports, and an audio line-out port. The PD2710QC USB C monitor also features a power switch and an Ethernet RJ45 port. 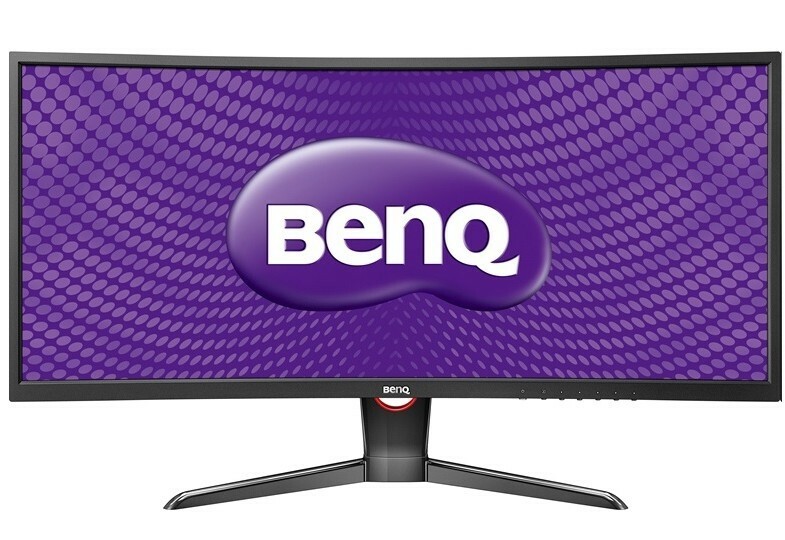 The BenQ PD2710QC price is unknown at the moment. Although, the previous version of the BenQ PD2710QC, the BenQ PD2700Q is available at the moment (May 2017) for $360. The PD2700Q is essentially the same model as the new one except for the USB-C port. We will have to wait for the BenQ PD2710QC release date to see how much the BenQ merits the implementation of the USB-C port. 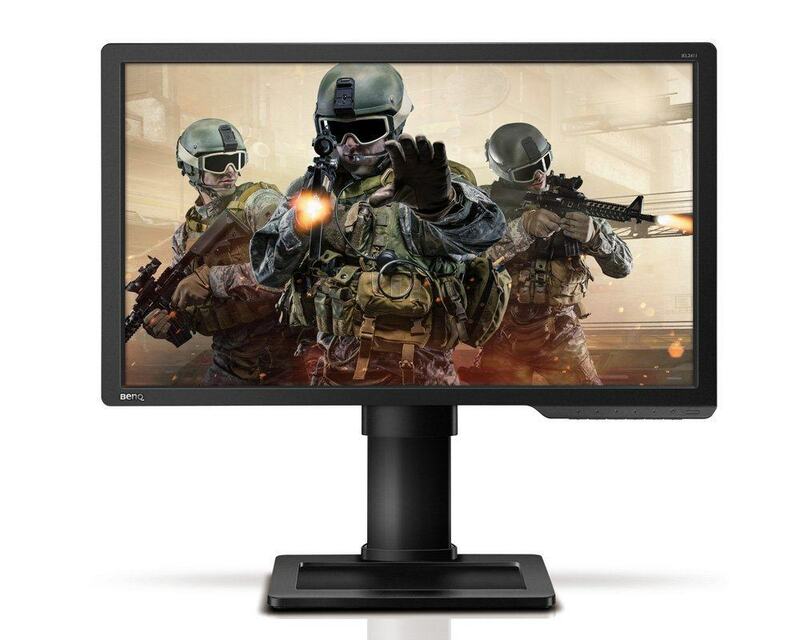 The previous version of this monitor is also available as a 32-inch model with a VA panel, the BenQ PD3200Q. As we are anticipating any news BenQ may have for us regarding their new gaming monitors, we’re contented with their latest releases. The BenQ PD2710QC IPS display will offer vibrant colors and useful well-optimized picture modes that the professional designers can rely on. 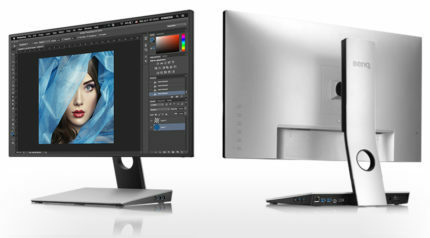 In addition to the convenient design, ergonomics, and plenty of connectivity options including the USB-C port which replaces a bunch of messy cables, this beauteous designing monitor has everything professional designers of any sort may need. If priced even remotely close to its previous version, it’s going to be worth every penny as its design makes it a nice investment even for an everyday monitor while casual gamers can take full advantage of the quicker response time mode. The BenQ PD2710QC offers impeccable image quality due to the true 8-bit IPS panel with a wide color range required by the professionals. In addition, it features a beauteous design with plenty of ergonomic and connectivity options including the USB-C which saves a lot of workspaces and replaces messy cables.